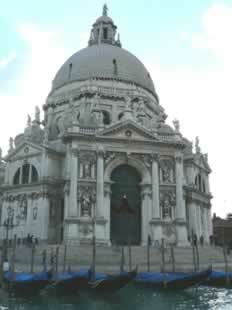 The massive round votive church of Our Lady of Good Health (Salute) dominates the inner basin of Saint Mark , where the Grand Canal run into it. It is the greatest Baroque church in Venice and was described as “the building which occupies the center of the picture Venice leaves in the mind”. It is the supreme masterpiece of the Venetian Baroque. The church commemorates a terrible plague which devastated Venice in 1630. More than 1.000.000 wooden piles were driven into the mud to make a solid foundation. In the decades before the First World War this part of Dorsoduro was much favoured by members of the English colony who were vividly, if cruelly, portrayed in Corvo’s Desire and Pursuit of the Whole. Walking down silent alleys, we’ll see some of the most picturesque corners of Venice and the Squero di San Trovaso, one of the few surviving gondola boatyards, with its irresistibly charming old wooden balcony. We will then walk along the Zattere, a long quay facing the Canale della Giudecca, named after the large wooden rafts that once lined the waterfront. The rafts have been replaced with café and ice-cream shop platforms built out onto the water. We’ll seat at one of these fine places, lingering over the Giudecca island, while enjoying the best ice cream in town, the mythical Nico’s Gianduiotto.